Fabrisonic’s own Dr. Adam Hehr was recognized this month in Columbus Business First publication, as one of twenty people to know in the Columbus area for Science & Technology. Adam is our newest employee, recently finishing his Ph.D. at The Ohio State University. His Doctoral research developed new methodologies for monitoring quality in our UAM process. He has a breadth of knowledge spanning topics from solid state welding to laser based measurement techniques. Adam’s recognition comes just weeks after Justin Wenning was highlighted by SAE as one of 30 people to know under 30 in US manufacturing. We are very excited that our employees are getting noticed for their technical knowledge. It is great to have a team of young innovators to drive Fabrisonic’s growth. Congratulations to our very own Justin Wenning! 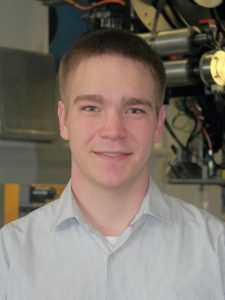 He was chosen to be featured in SME’s Advanced Manufacturing Media Recognizes “30 Under 30” Future Leaders of Manufacturing. This issue celebrates young men and women who have shown leadership and hard work in the manufacturing industry. Profiles of all the honorees are in the July issue of Manufacturing Engineering magazine which is available for free from a link in the article. To read the overview, click 30 Under 30. We are extremely honored and proud to have one of our employees recognized in this special publication. To learn more about Fabrisonic, visit our website at www.fabrisonic.com to contact us today!